What to do in the case of Hurricanes at Parris Island or Fires in San Diego. Any area of the country is subject to natural disasters. The Marine Corps Recruit Depot (MCRD) at Parris Island is subject to hurricanes. The recruit depot at San Diego, as well as other bases in the San Diego-area, area subject to fires. 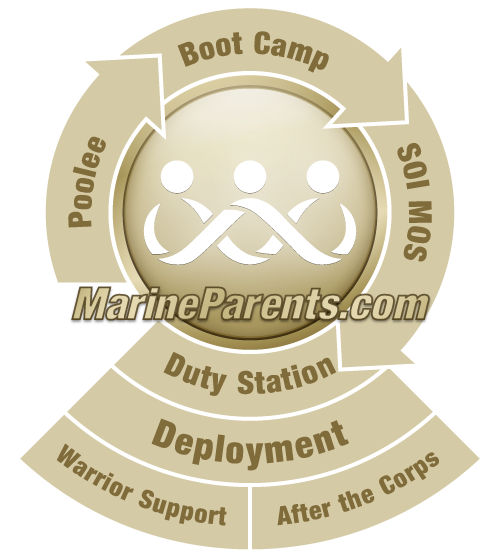 Being informed and understanding how the Marine Corps handles a natural disaster will help you feel confident that your son or daughter will be safe during boot camp, regardless of environmental factors. 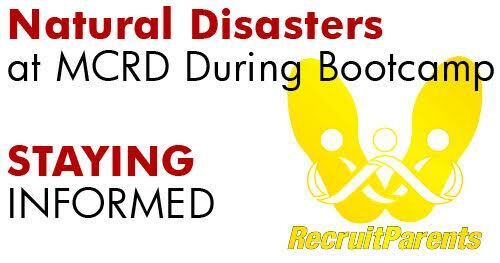 In the event of a natural disaster at MCRD Parris Island or MCRD San Diego, we will provide links to official Marine Corps information on this page of the web site as quickly as possible. Located 38 miles north of downtown San Diego, Camp Pendleton covers over 125,000 acres and approximately 200 square miles of terrain. It is an enormous base. Most often fires on Camp Pendleton are in remote areas that do not affect the families or Marines.